Thanksgiving is a special holiday where families can get together to celebrate with each other in their homes. Here are nine very special dining rooms we would like to share. We are a little biased of course because they all come from our own inventory of homes for sale, but each home and neighborhood has its own style and charm in helping create those very special memories with family and friends! Click any of the images or addresses for more beautiful pictures and listing information! 1. 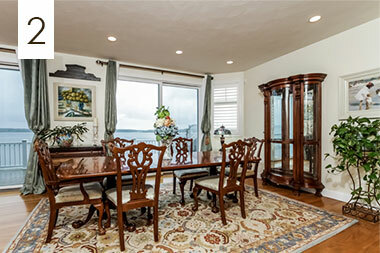 A grand dining room with awesome views down West Passage of Greenwich Bay from one of our Buttonwoods listings at 203 Promenade Ave, Warwick, RI. This 1890’s American Craftsman style Victorian home also features an eat-in kitchen and wrap around porch. Also a wonderful neighborhood for walking off all that turkey if anyone’s up for it! 2. Yay! 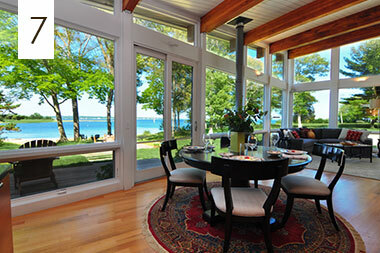 Another dining room with a water view! 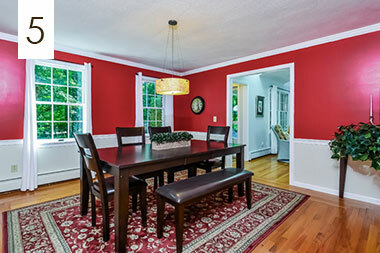 This one comes from our Cedar Tree Point listing at 58 Melbourn Rd, Warwick, RI. The home overlooks both Greenwich Bay and Potowomut. It was custom built in 2008 with walls of glass and high ceilings. Also, an open flow gourmet kitchen with premium stainless appliances and granite countertops. 3. Perfect for entertaining, this contemporary dining room at 66 Cooper Ave, Warwick, RI from the Buttonwoods neighborhood has a gourmet kitchen, fully updated surfaces, stone counters and stainless appliances. 4. 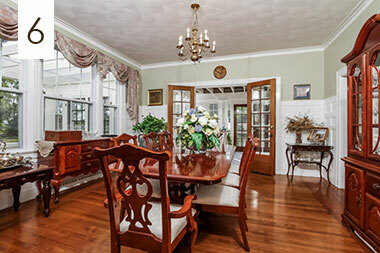 Maybe we should do a featured kitchens post as well because not only does this home feature a very spacious dining room, this estate residence at 35 Longmeadow Dr, East Greenwich, RI also features a HUGE gourmet kitchen with spacious sitting areas and high ceilings. Throw on a jacket and bring the entertainment outdoors to enjoy the pergola and fireplace! 5. 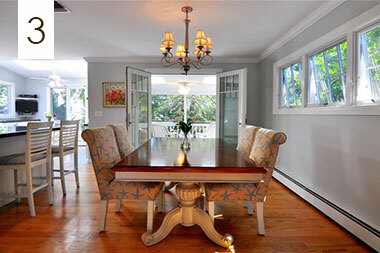 Lots of natural light for this dining room from our East Greenwich Heights listing at 2 Darl Ct, East Greenwich, RI. It also features an amazing open flow kitchen to prep up that turkey with granite surfaces and stainless appliances. 6. 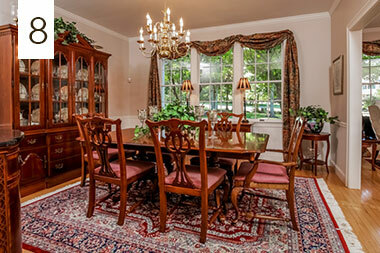 An elegant dining room from our Italinate Victorian estate residence at 83 Janice Rd, Warwick, RI. 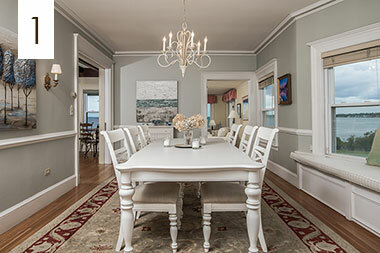 This home has highly detailed elements such as coffered ceilings and inlaid marble flooring. Also very spacious for entertaining. 7. This isn’t just water view dining! Our listing at 51 Pojac Point Rd, North Kingstown, RIis on 8.91 acres of beachfront overlooking Greenwich Bay. Windows and cathedral ceilings in this contemporary open flow home built with green materials. 8. 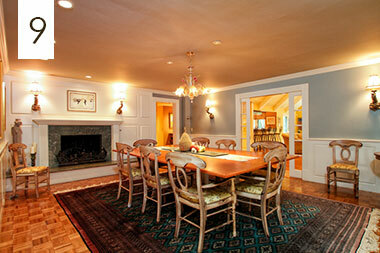 A luxurious colonial dining room from our Tipping Rock listing at 2 David Ct, East Greenwich, RI. With over 4,000 sq. ft., this open features 9′ ceilings, an open flow kitchen with granite countertops and a second floor media room. 9. This estate dining room from the Quidnessett neighborhood at 4 Spinney Lane, North Kingstown, RI room features a fireplace off of a gourmet granite and stainless kitchen. Still not too late to bring the entertainment outdoors this Thanksgiving to the amazing entertainment area! Over 5,600 sq. ft. of luxurious entertaining on 2.6 acres! 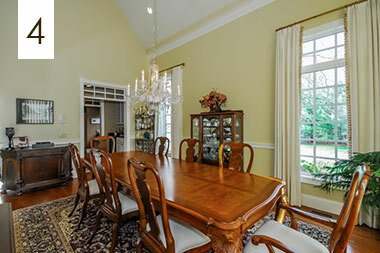 We hope you enjoyed these dining rooms and hearing a little about our wonderful homes for sale. We wish all our families a wonderful holiday!